Don't let a “machining house” handle your precious “sharps” requirements. 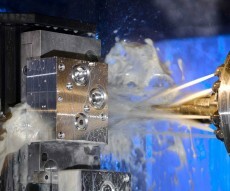 Let the sharps experts handle the machining required to get the job done! Micro Machining is a complex process. While some companies build their business model as a “micro machining house”, Cadence has installed custom micro machining processes to fully integrate these capabilities into a unique business process. 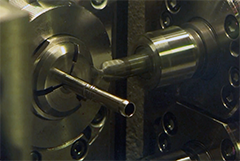 Our micro machining capabilities are optimized for high-precision, automated manufacturing. Don't let a “micro machining house” handle your precious “sharps” requirements. Let the real experts handle the micro machining required to get the job done! 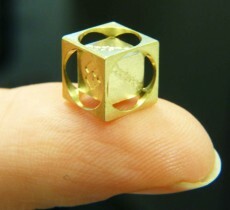 Cadence's new LaserSwiss Machining capability combines 6-axis Swiss machining and laser cutting in one process and eliminates many manufacturing restrictions. You get the productivity of Swiss machining PLUS precise cuts from the laser cutter without having to move the part to another machine.